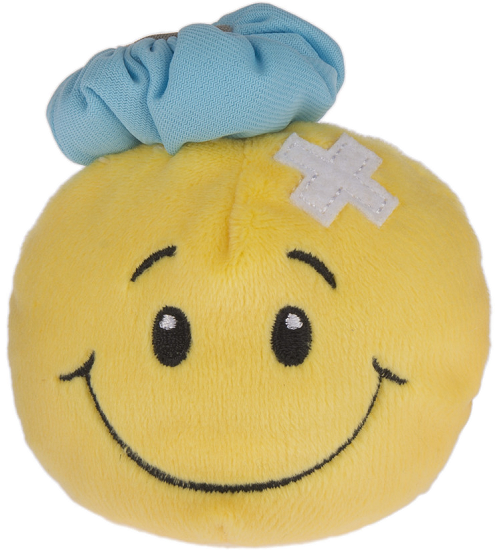 This fun and spirit-lifting Tossimals Get Well Smiley Face plush is sure to brighten someone's day as they recover from being under the weather and are on the mend. 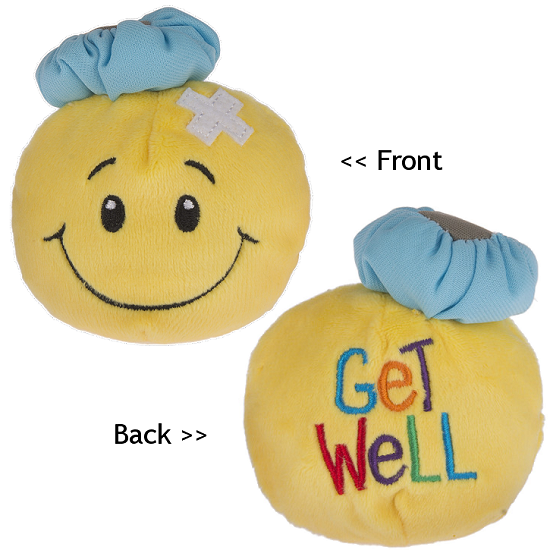 With a blue and gray ice bag and X bandage on the top of its embroidered smiling face, this adorable Get Well plush Smiley Face passes along your Get Well sentiments in a rainbow of embroidered letters on the back. 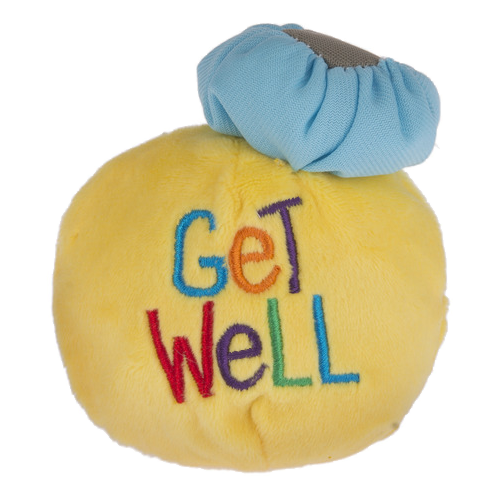 The perfect size as a fun, stand-alone gift or as an addition to a get well basket or flowers, this Get Well Tossimals plush Smiley will bring a smile to your friend and loved one's face for years to come. 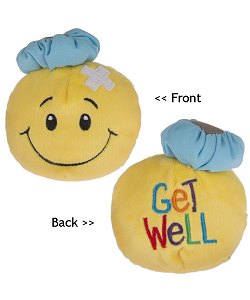 This adorable Get Well Bear has a huggable body of soft brown fur, a shiny blue ice bag, and tummy bandaid.